416 S. Old Ranch Rd. Yesterday I wrote about comp killers dragging the entire neighborhood down with it and today we have a prime good example of that. At first glance, this property isn’t anything special. It’s old, dated and could use a serious home makeover so surely you’d agree that it’s not worth the asking price of $750k. That being said, at 1438 sq-ft it’s a comfortable 3 bed, 2 bath in a desirable neighborhood so is it priced correctly? Let’s take a look at the neighborhood comps. Candidate #1 – 812 Victoria Dr. This house is just around the corner and is asking for $2,000 less, but you lose 200 sqft of living space and 1,325 sqft of lot. On top of that, it only has 1 bathroom — a big no no in today’s market. Candidate #2 – 716 Joaquin Rd. This house is a few steps away and asking for $8,000 more in exchange for 112 more sqft of living space, the same sized lot and a (probably dated) bathtub. Personally, I wouldn’t pay $8k more for112 sqft. It was last sold in 2000 for just $343k. Candidate #3 – 707 Joaquin Rd. This distressed seller is so confused he/she increased the asking price from $699k (April 2008) to $829,900 (May 2008). For $79,900 more than today’s featured property, you get 75 sqft more living space, a smaller yard and lots of fruit trees. The notice of default must have knocked the sense out of them because this property sold for just $365k in 2001. Candidate #4 – 860 Coronado Dr. This for-sale-by-owner property wants $118,000 more for 536 more sqft of living space. That’s $220/sqft for something that’s old, not new construction. Crikeys – you also lose a bathroom. 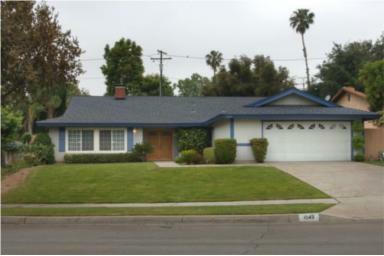 Sold 1 month ago on April 16, 2008 – 839 Palo Alto Dr. This property sold last month for the same $750,000 the sellers are asking for today. That’s probably how they came up with the asking price. You get 200 more sqft, but lose the extra bedroom so it’s about equivalent. Based on the above information, it appears that 416 S. Old Ranch Road will depress the asking prices of all four neighboring candidates in the lower east Peacock area. When you’re the lone ranger for sale, it may be possible to deceive a potential buyer into thinking your property is worth the asking price. When you have another comparable sale within a mile from your property going for less, then you have a serious problem. 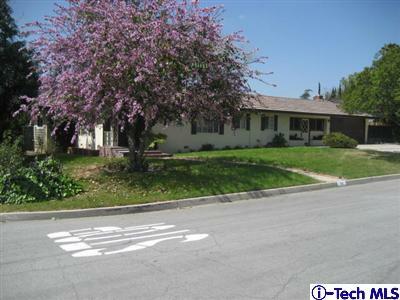 In addition, the recent sale on Palo Alto Dr. places today’s property at a reasonable price. Of course, that doesn’t mean it won’t depress further in the coming months. If the comparables sold in the early 2000s for around $350k, at 3%, 4% and 5% annual appreciation, it would be worth $443k, $479k and $517k, respectively. This is an REO currently listing for 50% off its 2006 asking price! From the only photo they uploaded, the property has been neglected for some time as you can see from the overgrown grass. It’s not in the greatest part of town, but it’s still Arcadia and I couldn’t pass up sharing a 50% off listing. Pretty soon we’ll be seeing large discounts even in the better neighborhoods. The property is another example of how stupidity and greed is a lethal combination. This house was purchased in 2006 with 100% financing and now the bank is left holding the bag. There was a $750,000 first and a $150,000 second mortgage on this distressed property. The banks paid $900k for something that, in my opinion, is worth less than the current asking price of $459,900. Think about that for a moment. The second loan suffers a total loss of $150k and the primary mortgage holder could lose $317,694 after 6% commission. The grand total depreciation of this property is $467,694 — if they get their current asking price. Who are the losers here? The homedebtors who were actually flippers that came into the market at the wrong time? The banks who got greedy and lent out more money than was reasonable? They’re both losers, but the ones that have to live with it and breathe it day in & day out are the neighbors. Sure the property was never worth that much to begin with, but nothing screams neighborhood comp killer like a property at half off the previous transaction just 19 months ago. Neglected homes not only bring down the neighborhood comp prices, but also its hopes and emotions for any summer rebound of the market. Banks don’t have emotions. They have numbers, record books, shareholders and investors. This REO will make it tough for any other comparable properties in the area to sell for much more than $230/sqft. 8 W. Camino Real Ave. When I starting looking at Arcadia properties on a daily basis a little over a year ago, it was difficult to find many properties in distress. Today, the picture is very different. 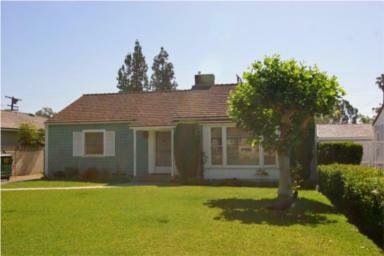 Today’s short sale is one of the 65 pre-foreclosures TheArcadian reported on in last Sunday’s inventory report. With a good chunk of Alt-A loans still to reset in the coming months, I can’t imagine things getting any better any time soon. This property is listed as a fixer upper with no pictures of the interior. If I were a buyer, I would just consider the interior a complete gut. Also, if the inside is in bad shape, it’s fair to assume the exterior of the house has not been maintained well either. Anything that’s being sold “as is” should raise a red flag caution in any buyer’s mind. From the available loan information, this house was purchased for $268k in 1993. If they had a 15yr mortgage, the house would be paid off by now. Instead, this listing is currently a short sale subject to lender approval. For that to happen, the seller must owe the lender more than the $718k asking price if it requires the bank’s approval. That means they pulled out their 20% downpayment, the payments they made over the years plus some easy HELOC money during the boom to fund whatever lifestyle and/or investments they have going on. Purchased for $268k and listed as a short sale for $718k. If this is typical of the massive housing bubble, and I believe it is, then we’re in for a rough ride. The weekend has arrived so keep your eye out for interesting properties, distressed or not, in the area and come back to AHB to let us know about it. I find this listing description incredibly annoying. When it comes time for me to sell a home, it will be a requirement of my realtor to write in full sentences with proper grammar. Every time I go grocery shopping at Pavilions, I see this realtor’s ad on the carts and laugh. Should I place an AHB ad in the slot next to her’s? I would get a kick out of that. When I don’t see any pictures of the interior, I automatically assume the place is dated. When I don’t see any pictures of the backyard, I automatically assume it’s small or poorly maintained/designed. Is this a fair assumption? Maybe and maybe not, but if those were positive qualities – why didn’t they post pictures of it? I have been to this home on a number of occasions and can tell you that while the property is well maintained, it’s quite dated. The kitchen is clean, but old. The sliding glass doors are a thing of the past and it leads to a tiny backyard that has 80% of its space taken by a small pool. The real kicker for me is the proximity to the 210 freeway. This street slopes downward towards the freeway that’s just 4 houses away. That’s literally just a stone’s throw from the noise, smog and dust that comes from a high traffic freeway. On the other side you have Foothill Blvd. While it’s not as busy as the freeway, it’s still a large street with plenty of traffic. I don’t know about you, but I’d hate to be trapped between these two corridors. But wait, there was a bubble. So what now? It’s always a good idea to look at rental equivalents. Similar sized single-family homes like this and this are renting for $2300 and $2350 per month, respectively. If you look at the chart above, buying at the current asking price with a 20% down @ 6.5% for 30-yr fixed would cost $4,338/month excluding taxes, maintenance and insurance. When you include those factors, the monthly costs are more than double that of the rental equivalents. If you assess the comparison with a gross rent multiplier, this property comes in at about GRM = 365. I’ve often referred to stable GRMs being in the range of 160-200 and this particular listing is way above and beyond that. Assuming a GRM of 180 is middle ground, its current GRM is 2X that number. Taking everything into account, there’s nothing that points to this property being worth anywhere near $858k. The location, rental equivalent and GRM all say it should not be worth more than $562k. I assume properties like this will fall back to the low $500k in a few years time. Anyone who buys now will be nothing more than a knife-catcher. 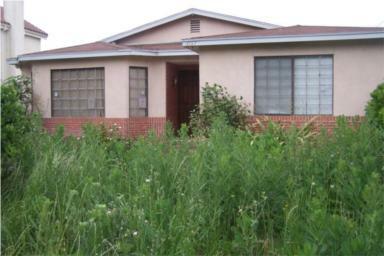 Today’s property is a $330k+ loss member and serves as another poster child on the consequences of negligent lending. The 100% financing that the homedebtor used to “buy” this home soon caught up to him. The $105k 2nd mortgage is a complete wash and should they get this asking price, the primary loan bag holder will suffer over a 1/4 million dollar loss after 6% commission. At 10,000sf, you get a decent size lot and a 2,000+ sf living area. 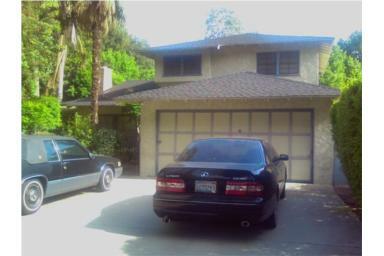 Unfortunately, this property is located right at the intersection of 3 streets; Columbia, Balboa and Sunset. There is no escaping the noise in this high traffic cross section. This property listing in the low $700’s is an improvement for a single family home in a good neighborhood. However, there is still no sign of the bottom and prices are likely to drop even further over the next few years. But if you are looking to buy soon and searching for a home or investment properties at bargain prices, consider purchasing a bank owned property. The internet has changed the way we live. From electronic shopping to scrapbooking, the internet has become the go-to source for researching just about anything. It’s completely changed the way people buy their airline tickets and turned the negotiation tables around on the car dealership show floor. There’s literally an entire world of information at your finger tips and people are taking full advantage of that. This is no different in the housing realm. There is a wealth of information out there and anyone who chooses to look for it will find it. If you’re a regular reader on this site, you’re probably also a regular reader on many other housing blogs. In addition to blogs, you have a host of free services like Redfin, Trulia and Zillow that gives the general population information that used to be much more difficult to obtain. Even if you’re a renter, you can benefit from watching the market through Craigslist rentals. I alluded to this in my post about the future of real estate agents, but the growth of the internet has really put the ball in your hands. Are there people who still rely solely on their realtor for information and services? Of course. But as more and more people become aware of the vast sea of internet content, the landscape will change. Actually, it’s already well underway and the fact that you’re reading this post is testament to that. Knowledge is power. If the average American saw the charts you’ve seen and read the articles you’ve read, they’d be much less confused about the housing situation and would probably laugh at those NAR press releases that keep calling the bottom. When people ask me about housing news, I point them to Patrick.When people ask me about finance and economics, I point them to Calculated Risk.When people tell me they’re mad about the proposed bailout, I point them to STHB. There are a ton of other great housing-related websites out there. What are some of your favorites?